Halloween is just around the corner. Are you out of costume ideas? Check out our list of some of our favorite black female superheroes that would make incredible costumes this year below. Misty Knight, from Marvel’s Luke Cage, came into everyone’s consciousness when the show debuted on Netflix. Actress Simone Missick’s performance does the character justice. Knight is a former New York police cop with mad martial arts skills, a bionic prosthetic arm she uses as a weapon and runs her own private eye agency. Because of the character’s simplistic and casual appearance, a Misty Knight costume would make a nice costume choice with breaking the bank. There’s no doubt actress Danai Gurira blew our minds with her performance as the katana-wielding Michonne on the highly popular show, The Walking Dead. Who wouldn’t want to be her?! Make Halloween a zombie-filled date night by having your boo dress up as Michonne’s better half, Rick Grimes. Saying Marvel’s Black Panther was a phenomenal movie feel like an understatement. Yet, it truly is a fantastic film! The Walking Dead star Danai Gurira plays Okoye, who leads T’Challa’s bodyguards and the special forces of Wakanda. If you are still hyped about this film, dressing up as Okoye for Halloween is fitting. 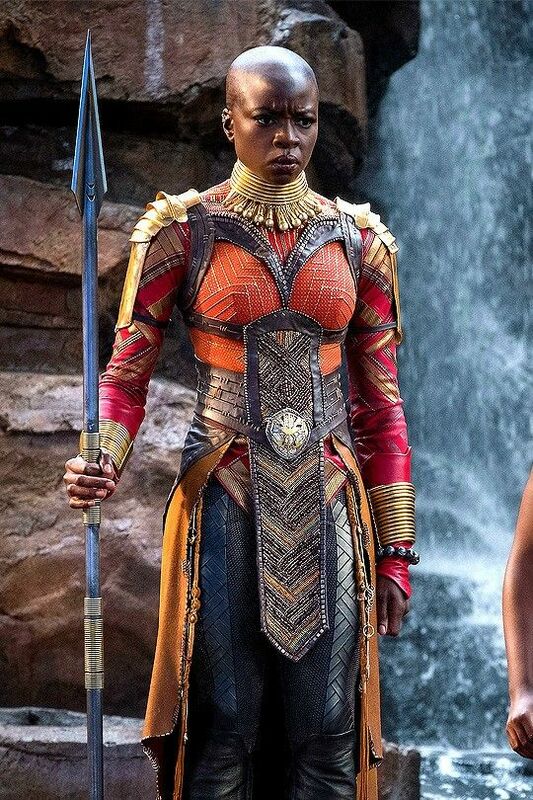 Another costume idea from Black Panther is Princess Shuri. She is another great addition to this league of black female superheroes we love to love. Shuri is T’Challa ’s younger sister who a master of martial arts, advanced technological skills, and an incredible sense of humor to go with everything. We are crazy in love with these new batch of black female superheroes so why dress up like these incredibly amazing women for Halloween. Which one is your favorite? Tell us in the comments below!